The endocrine system controls bodily functions and affects nearly every aspect of your life. What Happens When Your Thyroid Is Out Of Balance? When the endocrine system is operating normally, everything feels fine. These glands distribute their various hormones in appropriate amounts so that your body develops and functions as it should. 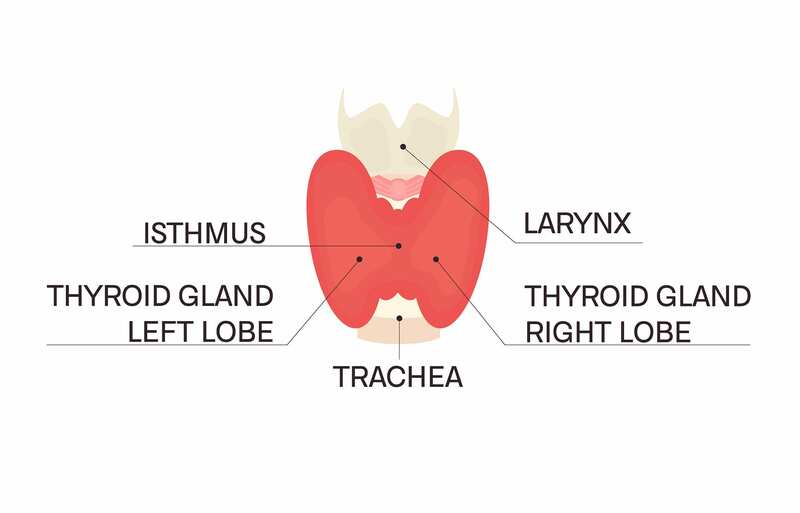 One of the most recognizable parts of the endocrine system is the thyroid, a small, butterfly-shaped gland located just below the Adam’s apple in your neck. Like all other glands, your thyroid generates hormones and sends them to different parts of the body via the bloodstream. Thyroid hormones regulate several functions within the body that are necessary. One of these is metabolism. This contributes to levels of appetite, the use of energy, an processing of fats and cholesterol levels. These hormones are carried through the blood to reach every part of the body. The thyroid also controls how fast the heart beats pumps blood through the system. Regulating the heart rate, blood flow, and dilation or constriction of blood vessels also keeps body temperature in check. Thyroid hormones also contribute to the control of sleep patterns, healthy brain activity, and even sexual functionality. When your thyroid isn’t functioning properly, symptoms vary far and wide, and can be more or less severe depending on the individual’s hormone levels. You may have issues with weight loss or weight gain, libido, sleeping, and anxiety, or a different range of side effects entirely. Every person can experience these problems to varying degrees, so it is important to keep in mind what is “normal” for you. If you think you may be experiencing issues related to a hormone imbalance, know that the condition is treatable with the help of a trained medical professional. When the hormones produced by the thyroid are no longer in proper proportion, several complications can arise. The most frequent conditions are known as hypothyroidism and hyperthyroidism. If you or your doctor notice symptoms of a thyroid problem, the next step is to test for the specific issue before deciding on a treatment. Some methods include cholesterol tests, blood tests for thyroid hormone levels, and ultrasounds. Sometimes these can be used together to get an even clearer idea about what the issues may be. Renewed Vitality can test for thyroid issues and help you determine if there is an imbalance. If testing determines you do have a thyroid problem, there are simple solutions available. Sometimes a change in diet and lifestyle can help. However, one of the most common solutions is the use of bioidentical hormone therapy. These are biologically the same as the hormones naturally produced in the body. These hormones are used to restore the balanced within the body and correct symptoms. Renewed Vitality uses natural hormones to more effectively treat hormone imbalances with fewer side effects. Our plant-sourced hormones are more easily processed by the body than those synthetic chemicals produced by other labs. We’ll help you get your body back on track to maintain its own order.